We all refer to ourselves as locksmiths but the definition of the trade has changed considerably since the days of building locks in your garden with huge lumps of machinery. The term 'locksmith' nowadays has a broader definition. These are usually the oldschool locksmiths that have been around longer than most and built a business on reputation and have a good highstreet presence that attract the bulk of their custom. The majority of the warrant locksmiths work is on behalf of or for another company under an agreed contract usually in the form of Energy Company runs or for national locksmith chains. As well as general locksmith work these locksmiths specialise in a particular niche area of the trade such as Safe opening and repairs, Vehicle locksmith and key programming or Access control and electronic hardware. Alongside their own locksmith work, train new locksmiths with basic to advanced skills for training agencies and back to work programmes. As well as their main locksmith work also have a little something on the side generally related to the trade such as tool production, websites and seo services or completely different trades such as plumbing and heating. These locksmiths make up the main bulk of the mobile locksmith community. Of course none of the above are any more successful and the different branches suit different home circumstances and personalities moreso than others. You will often find members of the oldschool mentality and certain organisations shunning a particular sub section of the locksmith community for selling out or taking away part of their work. This kind of viewpoint can be intimidating to newcomers and is generally frowned upon by the majority. Locksmithing has evolved considerably over the years and has grown many more branches than the few I have mentioned and will continue to do so as technology and demand for the services change in the future. Back by popular demand once again is five locksmiths tips and tricks. I have had loads of emails asking when the next locksmith tricks would be added. I have been pretty busy over the Christmas period with multipoint locks failing all over the place and since advertising SEO for locksmiths I have a backlog of websites and seo work to be cracking on with. So Here you are, Five random tricks that may (or may not) help you out one day. The older GU mechanisms are prone to a failure by where the cast gear explodes out the back of the gearbox. (As in the gold mech in the image). If the door is jammed shut all that is required to open it is to apply a reasonable force downwards on the handle. Remember to physically unlock with key first though. A good locksmith will always have a GU on the van, it is one of the most common out there! When fitting a different multipoint lock that requires new keeps to be cut you will sometimes encounter an internal metal frame inside that is going to foul the hooks or shoot bolts and prevent the mech locking. I have found the best way to cut this metalwork is to hammer the edge of it with a sharp screwdriver or old chisel, splitting it. Do this at the top and bottom section of the area you need to remove and then fold inwards using a similar technique. Remove any cover caps and mark around the hinges with a pencil. Starting with the top hinge wind each a few turns one at a time to pull the top of the door inwards and sometimes the bottom hinge outwards slightly. You will see the direction of the movement using the pencil lines as a guide. Test after each adjustment and fine tune to improve lock meshing. If in doubt return all hinges back to pencil marks and try again. Want to further your locksmith knowledge or learn how to pick locks like an expert? 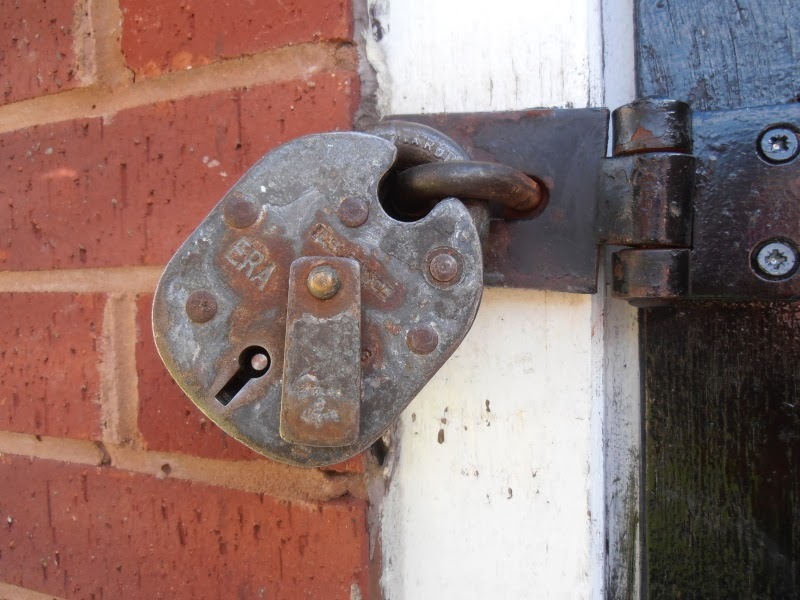 Guest posting is now an important part of how we should be advertising as locksmiths. A lot of my customers find me through investigating a problem themselves online and then reading a post I have made about it. Of course all your contact details are in the article and when recognised as an expert I get a call asking me to go and attend and help. I recently travelled across the country to unlock some Cyberlocks for a company that had read an article of mine online. It was a good earner and well worth the trip! Thanks to James at JS Locksmiths Manchester for some of that valuable content.